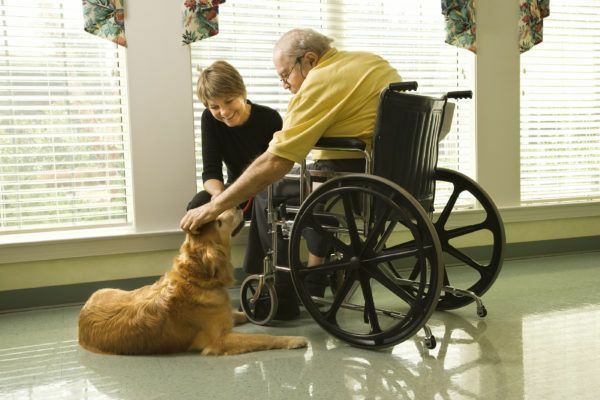 The Canines for Christ Ministry is comprised of several GNG dog owners and their dogs who visit retirement and nursing home facilities to visit with the residents and befriend them. It’s a therapeutic experience for all involved. Every dog goes through a specific training regimen to be certified. Once certified, beginning visiting and making new friends. 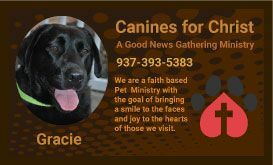 If you have a well-behaved dog that can be trained and certified, then consider this ministry. It is a great way to do be a blessing to people in our community. To inquire about the next round of trainings for potential dogs, contact the church office.